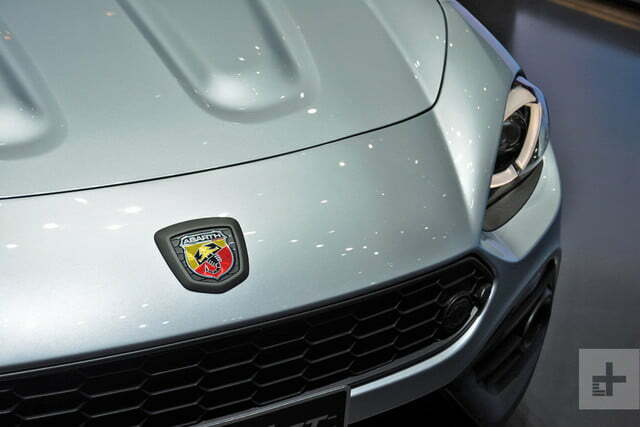 Fiat reserves the Abarth badge for sportier versions of its regular production models. Abarth’s scorpion logo is supposed denote a car that’s a bit more special, and a bit more thrilling to drive, than the average Fiat. But the Abarth 124 GT is a bit more special than most. 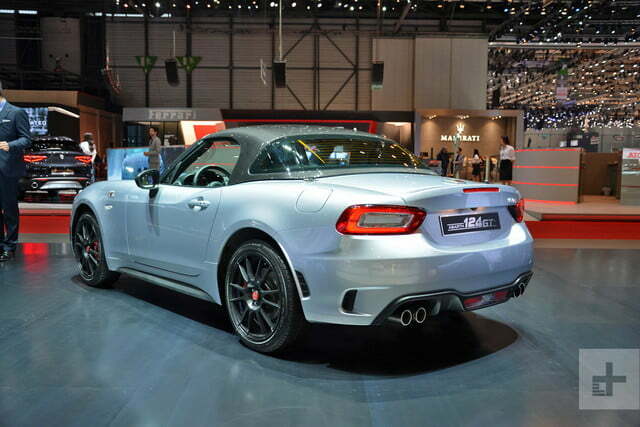 Unveiled at the 2018 Geneva Motor Show, the Abarth 124 GT is a limited-edition model that boasts, among other things, a carbon-fiber hardtop. 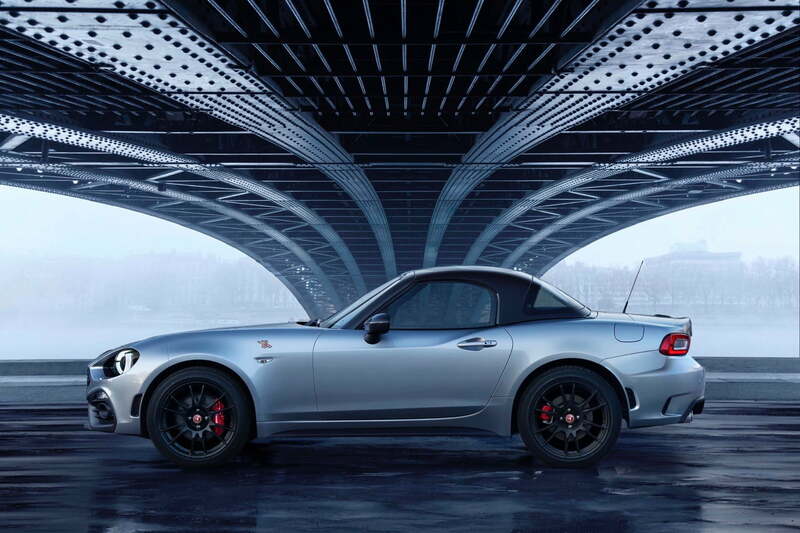 Based on the Fiat 124 Spider Abarth (itself based on the Mazda MX-5 Miata), the Abarth 124 GT tries to add a little race-car spice into that small sports car’s nostalgic Italian recipe. Fiat claims the Abarth 124 GT is the only car of its type offered with a carbon-fiber hardtop from the factory. The hardtop itself weighs just 35 pounds, despite having full insulation and a defroster. The GT keeps the standard convertible soft top, so the driver has plenty of options. Other GT-specific features include 17-inch O.Z. wheels (which are 6.5 pounds lighter than the standard wheels, according to Fiat), gun metal mirror caps (red and carbon fiber are also available) and a matte black hood meant to replicate the look of classic Abarth rally cars. 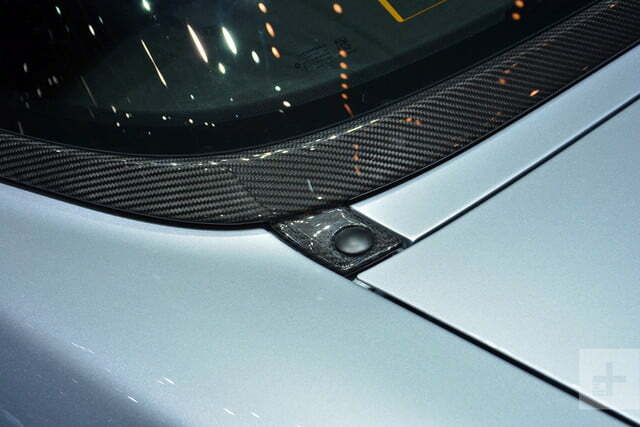 A carbon fiber spoiler is also available. Fiat doesn’t appear to have made any mechanical changes. 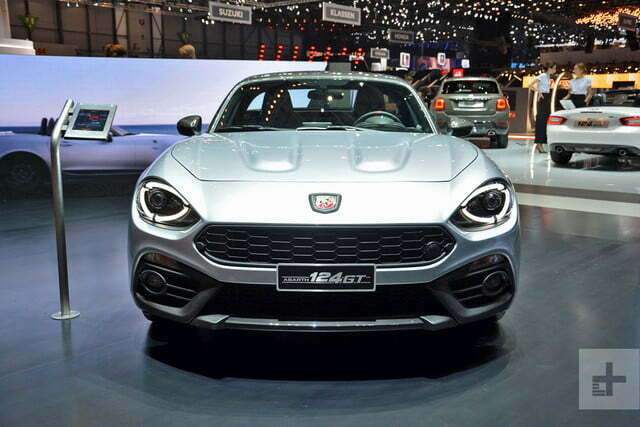 The Abarth 124 GT uses the same 1.4-liter turbocharged MultiAir four-cylinder engine as the non-GT Fiat 124 Spider Abarth. The European-spec version debuting in Geneva makes 170 horsepower and 184 pound-feet of torque. The fizzy four-banger drives the rear wheels through six-speed manual or automatic transmissions. 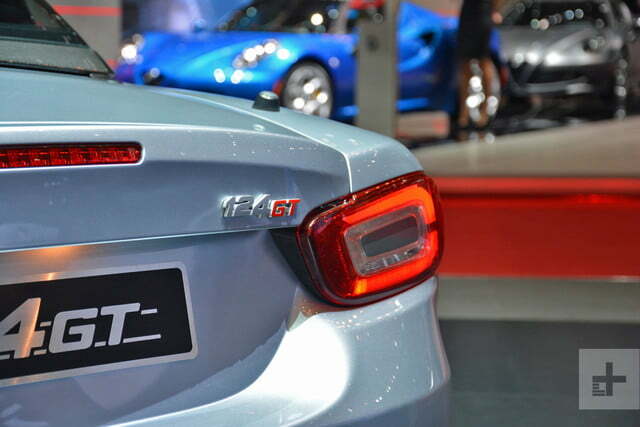 Fiat quotes 0 to 100 kph (0 to 62 mph) in 6.8 seconds, and a top speed of 144 mph. A dual-mode exhaust system adds a bit of drama to the soundtrack as well. We don’t know if the Abarth 124 GT will be sold in the United States, but it might make an interesting addition to the Stateside Abarth lineup. In the U.S., Fiat primarily trades on retro nostalgia; both the 124 Spider and 500 heavily reference past models with their styling. But the 124 GT might give the brand a more serious attitude. Granted, it would probably need a little extra power, in addition to those trick carbon-fiber bits, to really drive that point home.